By Chris ‘Funkmaster Red’ Redford. My how time flies. This time last year I had just finished rusting up the bonnet on my New Beetle just in time for Dubfreeze. It seems I never learn as this year I spent the week before the show rushing my way towards completing another project in time to debut at the show. For those who have never been, Dubfreeze is a huge event held in February each year. The Staffordshire showground is host to the event which has become a very popular show for people to dust off the winter cobwebs and get back into the swing of things and more importantly find those elusive parts needed for the projects that must be completed by the Spring. It is more of a trade show than a car show but that does not stop stunning vehicles arriving in droves. There is a huge indoor hall on 2 levels which is filled up with Volkswagen related traders. From stickers to mugs to vehicle parts and accessories, everything is available. Add to that a small but well formed show and shine and a huge car park full of delectable metal, there is lots to see, do and buy. The show and shine, although limited in size, covers both air and water-cooled VWs both in custom and stock form. This year I decided to enter my Gurgel into the competition and so in December I booked one of the 36 places available. As I was organising The Koolest Krooze I had nearly forgotten that I had a lot to do to the Gurgel to make it show worthy and so with only a week until the event, I started working my way through a mammoth list of repairs. This included lots of minor jobs but also a re-trim of the rear seat and restoring a set of wheels. Long story cut short, by Saturday evening the seats were re-trimmed, the wheels were blasted, painted, tyres fitted and bolted to the vehicle. I sat down in front of the television to check the weather report and saw that heavy snow was forecast for the West Midlands area the next morning. I left Eastbourne at 3am. Within 100 meters of my house I found that my as yet untested new wheels were troublesome to say the least. The 10 inch banded steel wheels with monster off road tyres were rubbing on the arches as I went around a roundabout! I pulled over as soon as it was safe to do so and set to jacking up the car and changing back to the original wheels with just the light from my trusty Zippo to guide what I was doing. Back on the road I soon realised why the event was called Dubfreeze as my windscreen was literally freezing over as I drove up the M23. By the time I was halfway up the M40 towards Birmingham I encountered the forecast snow. Of all the times for the forecaster to be correct! With no side windows or roof, the snow was coming at me from all angles. The motorways 3 lanes disappeared to one slush covered ‘track’. It was at this point that my windscreen wipers decided to pack in! By the time I arrived at the venue I was stupidly cold. The fact that the Gurgel has no heating whatsoever was not a bonus. Anyway, I changed the wheels back to the wide boys, washed the car down and set off to see if there were any bargains to be had. Luckily I met up with ‘Butty’ from Dubnuts and VZi who advised me on the best way to fix my wipers and so I then set to getting them back in working order for the journey home with a lot of help from other VZi members. From Eastbourne it is 220 miles each way and in the cold, the 5 hour drive seems to take forever, it definitely seemed a much quicker journey in the New Beetle last year. However it was definitely worth it as a good chance to catch up with friends that you may not have seen since the shows finished last year. Add to that the cars to see and the chance to buy bits that you need (and lots more that you don’t) and it all stacks up as a very good day out. Have I learnt my lesson about driving an unsuitable vehicle in the cold? No. I shall probably be taking the Gurgel over to Ninove in Belgium on the 14th March. Some people say I’m brave. I just think I’m stupid. Words by Chris ‘Funkmaster Red’ Redford. After the success of last years event I put myself forward to organise it again this year. The aim is to put on a show with a difference. The difference is that instead of a static show, there is a scavenger hunt which takes in some of the local scenery and poses questions about places you encounter on the way round. The best part is that every penny raised goes to the Brads Cancer Foundation charity, a very deserving cause. With the January snowfall, the event was postponed to the 7th February. The event opened for registration at 9am and slowly the car park filled up with participants who all paid a donation to the charity to take part. They were issued with a goody bag, a map, a programme and a quiz sheet. At 10.30am, they were allowed to leave and had 3 hours to find as many answers as they could. There was also a list of 50 items for them to find while out and about. At 1pm the Hailsham Community Hall opened up for people to come back, hand in their quiz sheets for marking and have something to eat and drink and defrost. The cars were all arranged in the car park for the show and shine element to the show. With over 60 vehicles, there was a very good turnout and with over 20 trophies up for grabs in many different classes, the chances of winning one were good. People had travelled from as far away as Essex and Hampshire but had also come from all over the South East. There was also a raffle and a charity auction with items generously donated by people from Volkszone, local VW clubs and local businesses. Golf+ and Camper and Commercial magazine both supplied subscriptions. The ’proper’ trophies were very kindly donated by Ivor Baker Awards and the rest were handmade by your truly. At the end of the event everyone went away with a smile on their faces and the show had raised an impressive £1114 for Brads. Hopefully we shall see you there next year. Even under a thin, black shroud, the lines of a vintage ’68 Volkswagen Beetle were unmistakable, writes the Washington Post. And when the cloth came off, at a bizarre unveiling ceremony Thursday at the National Museum of Crime & Punishment, it took work to be surprised by what was underneath it: an unprepossessing tan Beetle, with a sunroof, looking a little worse for wear with touches of rust, fading paint and a few missing pieces of metal trim. The tires looked as if they still had a few thousand good miles in them. Inside the cab, the interior had that quintessential old Bug smell — like burning latex — as if the rubber flooring was always smoking a little from the heat underneath. But this wasn’t any Beetle. This was Ted Bundy’s Beetle, the car into which he lured his victims and in which he killed many of them during a terrifying serial killing spree in the 1970s. Santa Pod Raceway, the home of European drag racing has announced its first ‘Saturday Night Special’ (SNS) date for 2010. The 20th of February… and every kind of car and motorbike is invited! As if drag racing your very own pride and joy wasn’t fun enough, Santa Pod’s SNS events let you race throughout the day, with the track firing up at 9am, and then on into the night, under the high output track lights in the most evocative atmosphere in motorsport. Think night racing is the exclusive reserve of professional Top-Fuellers, Le Mans stars and F1 legends? Think again! For the usual fee of £10 admission plus your choice of sign-on fee, you’ll get the usual mix of ‘Run What You Brung’ goodness, with the freedom to exploit the ‘Pod’s ultra-grippy quarter-mile and FIA approved timing gear all day long. With the added advantage of passengers over the age of 17 now allowed to ride under race conditions, it’s the perfect day out for car clubs and enthusiasts. As the light dims however, the action ramps up a gear, with Fireforce, the Pod’s own Jet Funny Car laying down some 270mph display runs and hard-charging racing continuing into the night. Then of course, it’s time to hit the on-site bar, enjoy an evening of free musical entertainment and sink a few beers. With free weekend camping for anyone purchasing a weekend admission ticket (£20 on the gate or just £15 in advance) you can really relax and enjoy yourself – and blow the froth of a couple in the process. The gates open on Saturday at 8am. Signing on costs £30 per driver for unlimited runs from 9am to 9pm, £25 per driver for unlimited runs from 9am to 4pm, and £10 per driver for unlimited runs from 4pm to 9pm (weather and track conditions permitting). You’ll get full computerised timing slips on each run, measuring your reactions, terminal speed and total quarter mile time. Driving Licences required to run on the strip, but cars running under 110mph on the quarter mile don’t even require the driver to wear a helmet! 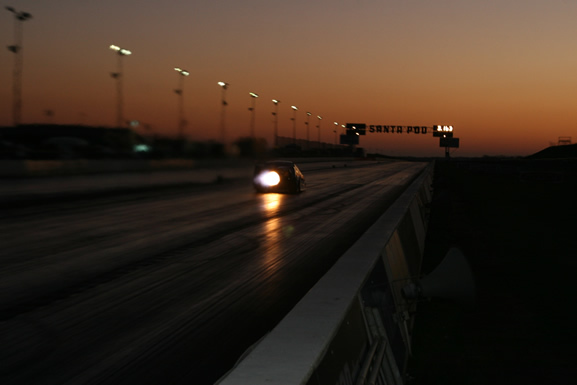 As one of life’s ‘must do’ automotive experiences, Drag racing at night rates right up there!. It’s cheap, it’s fun and it’s safe! And best of all you can swap heroic tales in the bar afterwards without worrying about your licence! See you there! For more information, please visit www.santapod.com or call the team on 01234 782828. After two concepts and an insufferable amount of teasing, the 2011 Audi A1 has officially arrived with its sights set squarely on the Mini Cooper writes www.autoblog.com. Inspired by the Metroproject Quattro from 2007, the all-new A1 is a faithful recreation of its conceptual predecessor, complete with a squat stance, short overhangs and four customizable colors for the roof arches. With a profile reminiscent of a stretched and squashed TT, the A1 spans 155.5 inches long, 68.5 inches wide and 56 inches tall, with a 97.2-inch wheelbase. Ten exterior colors are available, along with front and rear LEDs and Xenon headlamps. Audi’s focus on the interior begins and ends with customization, with available LED lighting, black, grey, beige or “wasabi” green contrasting materials, colored air vents and an optional MMI system with a 6.5-inch screen, 10-speaker, 465-watt Bose audio system, 20 gig harddrive and Bluetooth connectivity. Although backseat passengers were apparently an afterthought, the A1 boasts 9.43 cubic feet of storage space in the rear, with 32.49 cubic feet of space available when the rear seats are folded flat. Motivation will be provided by a choice of either two gasoline or diesel powerplants, with the 1.6-liter TDIs churning out either 90 horsepower and 169 pound feet of torque or 105 ponies and 184 lb-ft of twist. The gasoline mills will be available in either 1.2- or 1.4-liter TFSI variants, with the former putting out 86 hp and 118 lb-ft of torque and the latter delivering 122 hp and 147 lb-ft through either a five- or six-speed manual. An optional seven-speed S tronic (dual clutch) transmission is available, and both gasoline engines deliver an average of 46 mpg. 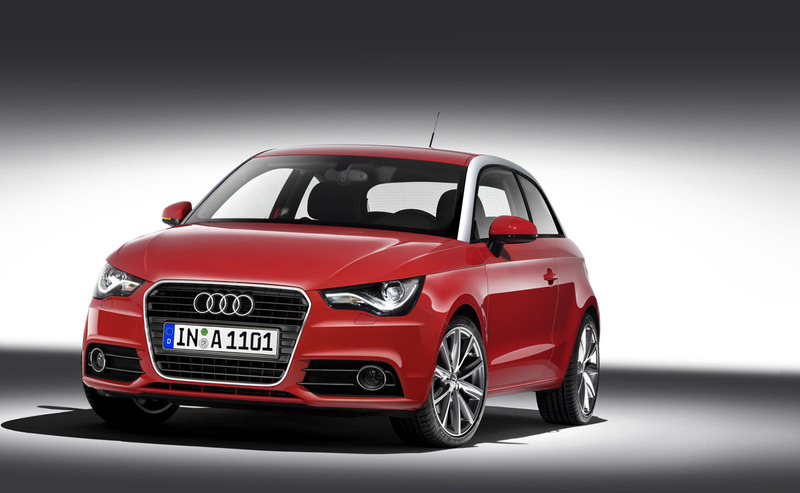 For the time being, the A1 is only available with front-wheel drive. The 2,303-pound hatch will go on sale in Europe later this year after it’s official unveiling at the Geneva Motor Show, with prices starting at around 16,000 euro. Two trims – Attraction or Ambition – are available, with an S Line accessories package and 18-inch wheels coming at launch. All the details can be had in the press release after the jump, but still no word yet on U.S. availability. 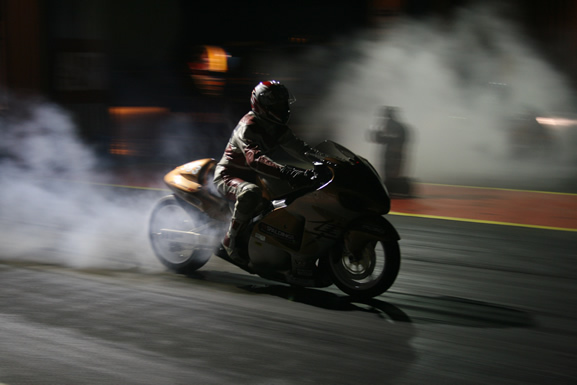 Some of the country’s top stunt drivers and riders will visit Northamptonshire this month to entertain the crowds at Santa Pod raceway’s stunt night. The evening of high octane half-term entertainment will take place at the track, in Podington, on Friday, February 19. Podzilla, Santa Pod’s monster truck, will be one of the vehicles on show on the night. There will be two-wheel car tricks, a VW Jet Beetle and motorbike stunts. But the attractions are not all vehicle-based – there will also be children’s party games in Fueler’s Bar, a separate children’s entertainment area and fire juggling from the Poi Circus. There will also be funfair rides suitable for all the family and the evening will come to a close with a big firework display. 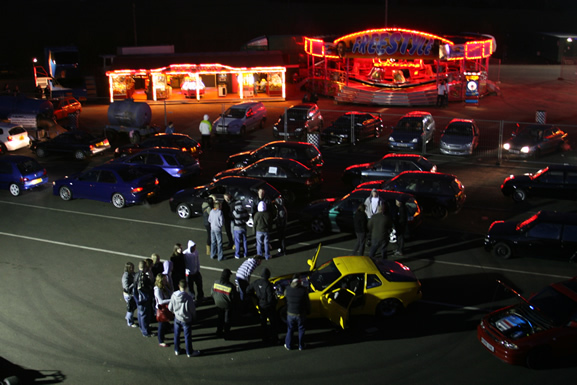 Joanna Harris, from Santa Pod Raceway, said the event was particularly aimed at local people and had become increasingly popular over the past few years. She said: “Stunt night is a great family fun evening event specifically for local people at the end of half-term, which doesn’t cost the earth. “Over the last couple of years since we started the event we’ve seen an increase in local people attending, which is fantastic. “We try to include local talent in the event and this year have Heart FM’s breakfast duo, Jagger and Woody, coming along to try their hands at driving Podzilla, Santa Pod’s Monster Truck, as well as the Japanese phenomena that is drifting. Adult tickets are £9 plus a booking fee in advance or £15 on the gate. All children under 16 will be admitted for free, with a maximum of three children per paying adult. The main attractions will take place between 6pm and 8pm. Gates will open from 4pm to 10pm and the event will run from 5pm to 9pm. Advance tickets are on sale and will be available until February 12. There will be full catering and bar facilities at the track on the day. More acts and attractions are still to be confirmed for Stunt Night. If you would like more information please visit www.stuntnight.com.